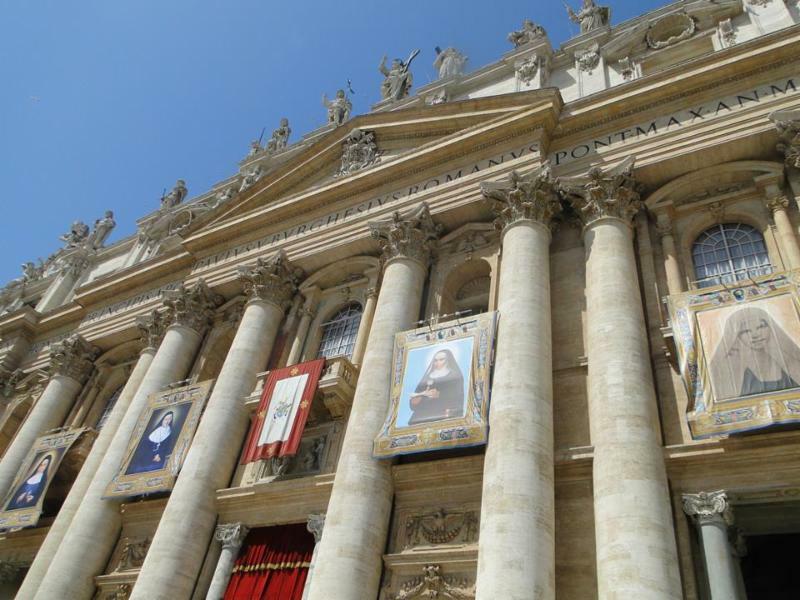 On Sunday, May 17 His Holiness Pope Francis canonized two Palestinian nuns from the 19th-century, Miriam Bawardy, a sister of the Order of Discalced Carmelites, and Marie Alphonsine Ghattas, a co-founder of Jerusalem’s Rosary Sisters. They are now known as St. Mary of Jesus Crucified and St. Marie-Alphonsine. 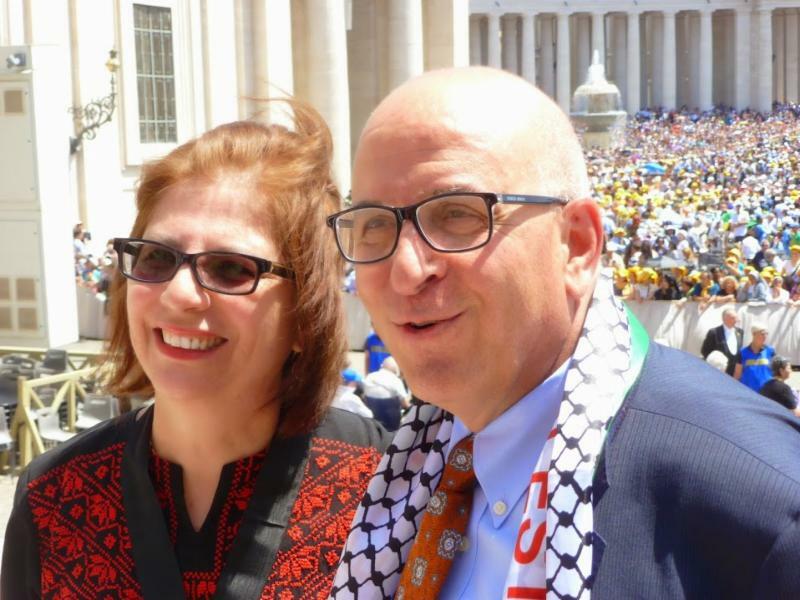 Sir Rateb Rabie, KCHS, HCEF’s President/CEO, and his wife, Lady Rocio Rabie, HCEF’s Public Relations Officer attended the canonization as part of President Abbas’ delegation and as special guests of the Latin Patriarchate of Jerusalem. 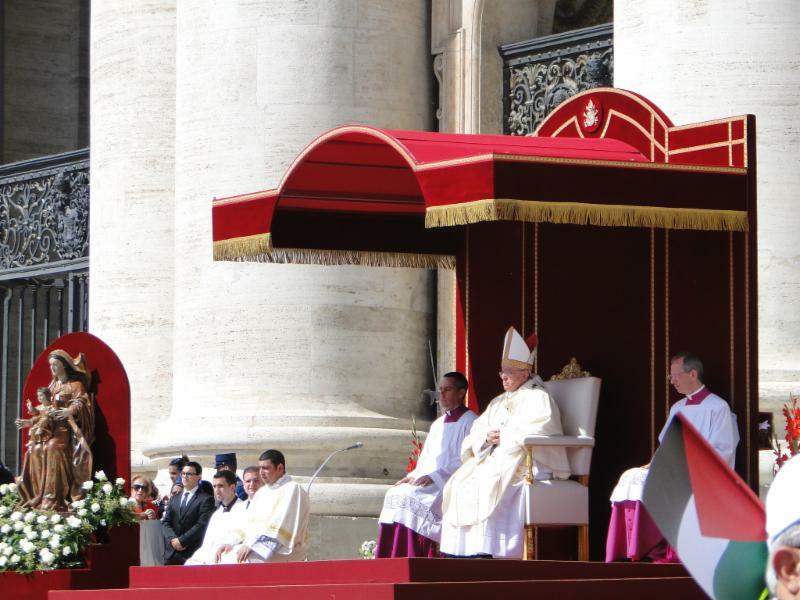 They were able to celebrate the holy and historical moment at the Vatican alongside H.E. Palestinian President, Mahmoud Abbas, and the Latin Patriarch of Jerusalem, Fouad Twal and many faithful Palestinians in attendance. 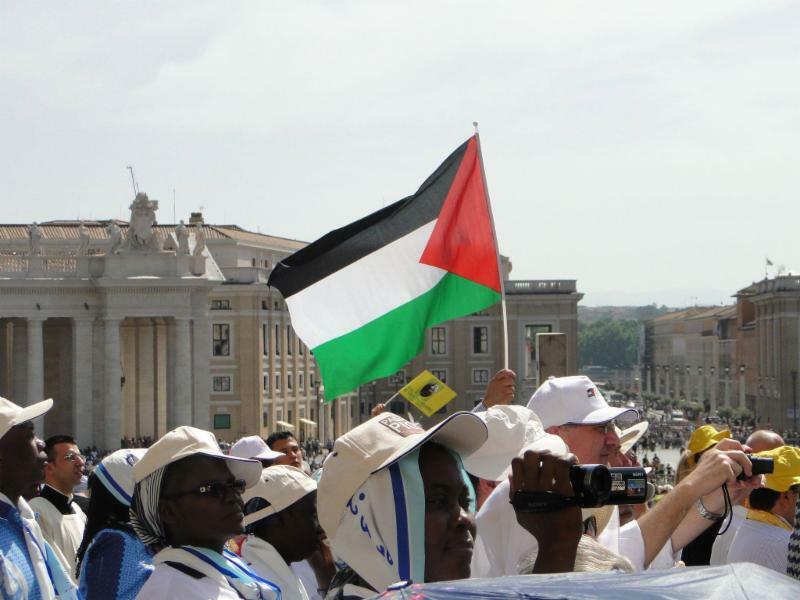 An estimated two-thousand Palestinians travelled to Rome for the canonization, and clearly made their presence known with cheers and the waving of Palestinian flags throughout St. Peter’s Square. 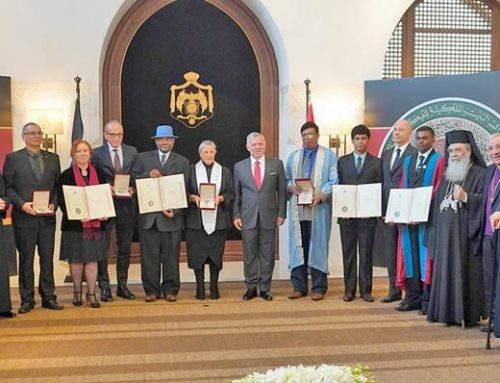 It was altogether a profound symbol of progress on the Palestinian cause and a reflection of the deep principles of faith that bind the Palestinian people together and ground their collective desire for peace and justice. 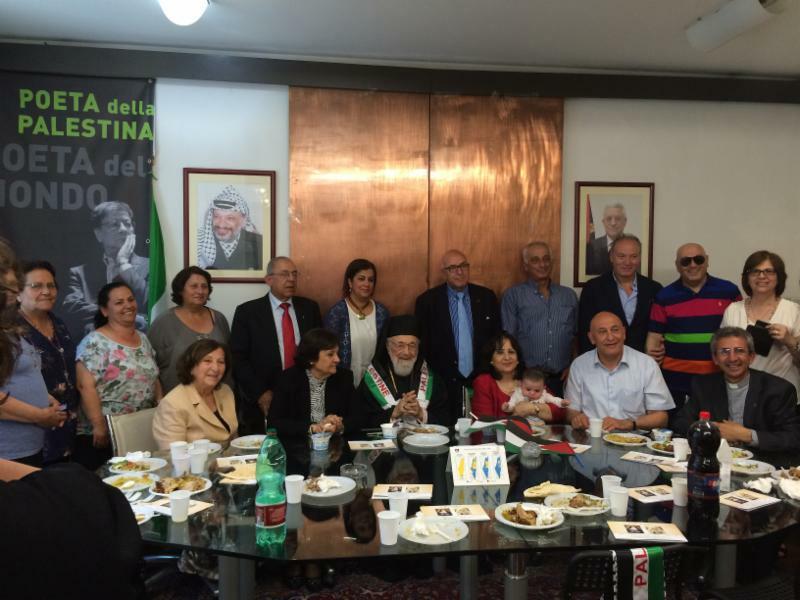 Sir and Lady Rabie were invited to the Palestinian Embassy in Rome to partake in a celebratory meal, hosted by H.E. 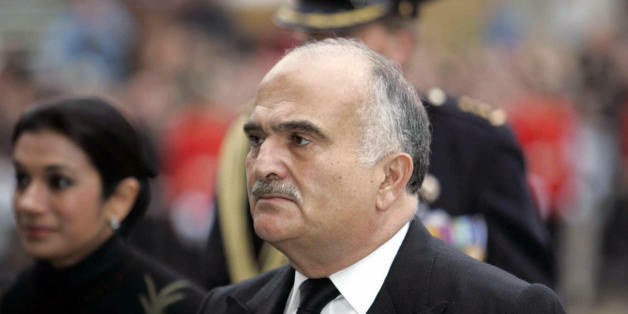 Ambassador Dr. Mai Alkaila. Who were these Palestinian saints? Born in Jerusalem, St. Marie-Alphonsine was inspired by several apparitions of the Virgin Mary to set up the Sisters of the Most Holy Rosary of Jerusalem in the 1880s – an order dedicated to educating Arab girls. 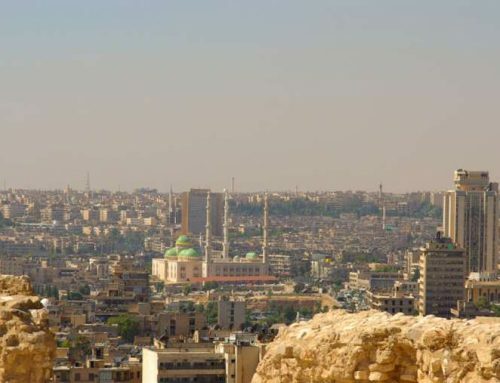 Highly regarded in Palestinian communities, it continues to be the only Arab religious order in the Holy Land. Several miracles have been attributed to her including saving a young girl who had fallen into a deep container by throwing her huge rosary. She invoked the Virgin Mary and told the young girl’s classmates to pray the rosary. Shortly after, the young girl was saved. St. Mary of Jesus Crucified was born miraculously in Palestine in 1846. 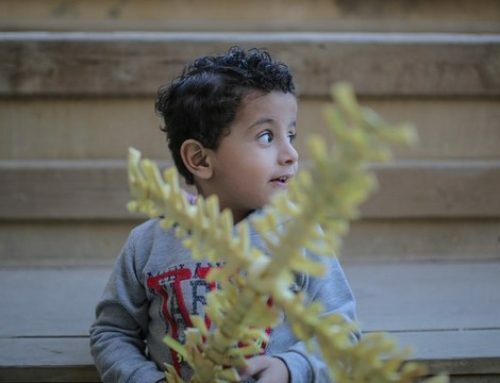 Before Mariam was born, her parents had lost all twelve of their previous children. The hope of raising a healthy child was all but washed away. Yet Mariam’s mother was inspired, and said to her husband: “”Let us go to Bethlehem on foot, and ask the Blessed Virgin for a daughter. Let us promise Her that if our prayers are answered, we will name her Mariam and will offer for the service of God a quantity of wax equal to her weight when she is three years of age.” Their prayers were indeed answered, and Mariam entered the world. Tragically, Mariam was orphaned at the age of two when both her parents died. But the Lord took special favor with her, and from a young age she experienced miracles. In one instance, she prevented her extended family from eating a poisoned fish after dreaming about it the night before. And, dramatically, she survived a violent encounter with her uncle who slashed her throat and left her in a ditch, convinced she had died. A mysterious nun in blue would later come to her aid, stitching her wound, bringing her back to good health, and then guiding her into the service of the Lord. Sometime after, a doctor would examine Mariam’s wound and pronounce her survival as a nothing short of a miracle. 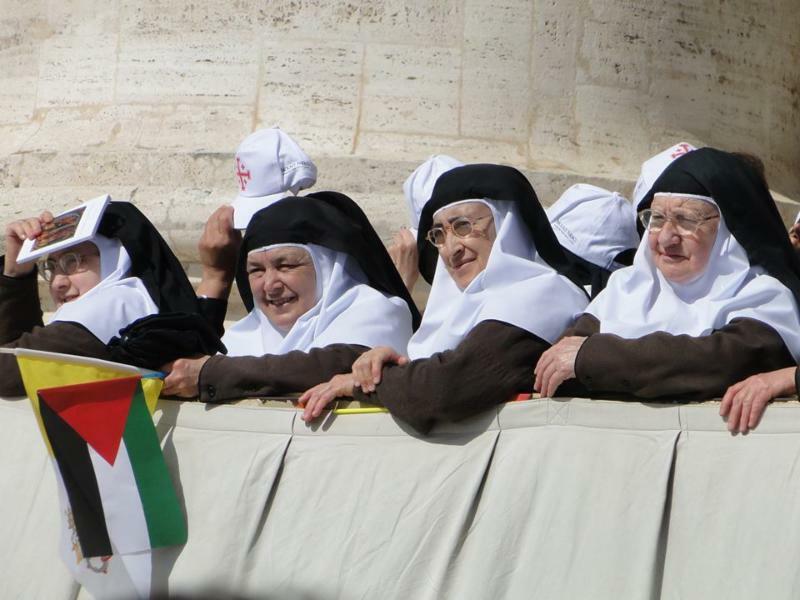 The canonization of these Palestinian Nuns reveals to the world an unfamiliar but crucial message about the Palestinian people as a whole. 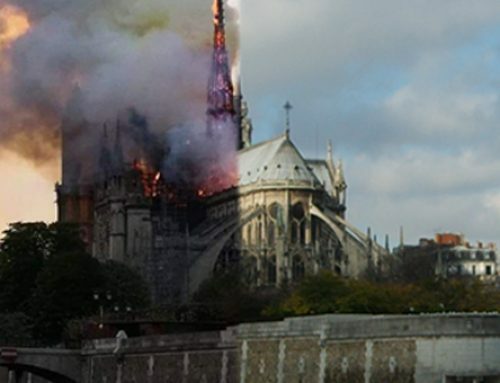 They are bound by deep traditions that they have helped preserve, they remain true to the faith born in their land, and, above all, according to the tenets of that faith, they promote peace on earth. 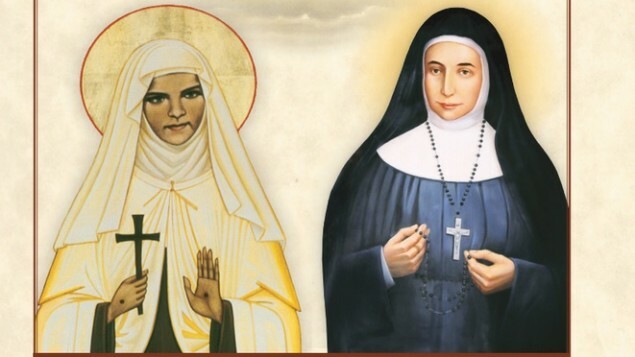 All Palestinians are honored by the canonization of these two nuns. They are a people dedicated to the divine principles of peace, justice, and servant hood for all humankind.